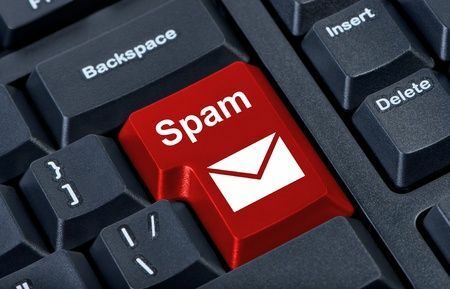 In July of this year, private rights of action under Canada’s Anti-Spam Legislation (CASL) will come into force. This update will bring increased liability for directors and officers. As large class action lawsuits are widely anticipated, employers should ensure their workplace electronic messaging procedures are in compliance before its too late. In effect since July of 2014, CASL prohibits any individual or organization from sending, or causing or permitting to be sent, commercial electronic messages (CEMs) unless the recipient has consented and the message satisfies the form and content requirements. CEMs are defined as any electronic message designed to encourage participation in a commercial activity whether or not it is accompanied by an expectation of profit. CEMs include email, text and image messages, social media messages, and voicemail. CASL requires a sender to obtain and keep careful records of recipients’ express consent to receive CEMs. A sender must outline the purpose for which consent is being sought and provide prescribed information about the party seeking consent and an unsubscribe mechanism. Communications involving an “existing business relationship” or “existing non-business relationship” which are active or have been so within the previous two years are exempt from the express consent requirements. CEMs falling under these categories are subject to CASL’s implied consent regime. a private right of action for individuals who suffer damage as a result of a violation of CASL or relevant provisions of the Competition Act and the Personal Information Protection and Electronic Documents Act (PIPEDA). CASL’s maximum statutory damages are $1,000,000.00 per day of violation for an individual or $10,000,000.00 per day of violation for organizations. As of July 2017 the private right of action will enable any individual or organization affected by a violation to bring an action directly against a party who contravenes CASL. Claimants may sue for actual damages to compensate for the breach of his/her rights. Existing statutory damages will still apply causing the potential cost of a violation to increase significantly. the violation of the email harvesting (collecting email addresses) and use provisions of PIPEDA. Large class actions are widely anticipated by the legal community. Directors and officers can be held personally liable if they directed, authorized, assented to, acquiesced in or engaged in the commission of a violation of CASL or relevant provisions of the Competition Act or PIPEDA. Directors and officers are also liable for violations committed by employees acting within the scope of his/her employment. A claimant can bring a private action against the director or officer whether or not a claim is also brought against the organization. Demonstrating that due diligence was exercised in avoiding a contravention is a statutory defence. Employers should therefore ensure that their employees receive proper education, training, and supervision with regard to all aspects of CASL. Employers are strongly suggested to review their organization’s electronic messaging practices and procedures to ensure compliance with CASL prior to the July updates. See our firm’s brochure “Canada’s Anti-Spam Legislation (CASL)” for details of compliance steps. We encourage you to reach out to a member of our Employment or Corporate group for more information.